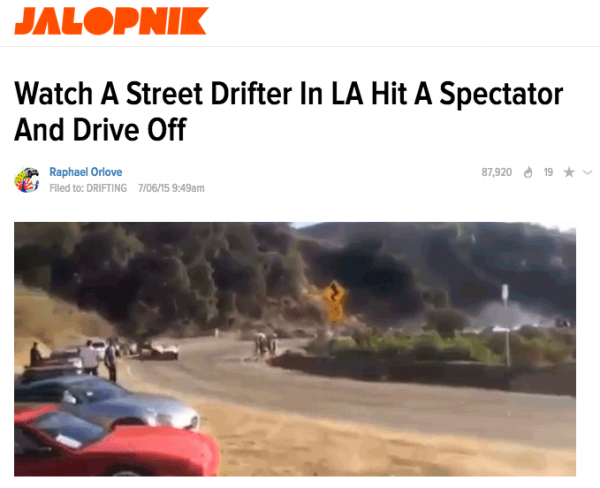 In response to recent events [Watch A Street Drifter In LA Hit A Spectator And Drive Off], Formula DRIFT has issued this statement. Formula DRIFT does not support or encourage the use of public streets for illegal street drifting or any form of illegal street racing. These activities not only harm the drivers and the spectators but also damages the Sport’s standing. Please keep the streets safe and drift in a controlled environment. There are many alternatives to street drifting such as those provided by many of our ProAm affiliates (Lone Star Drift, Streetwise Drift, Just Drift, US Drift, Southwest Drift/Vegas Drift, Golden Gate Drift, Evergreen Drift and Midwest Drift Union). 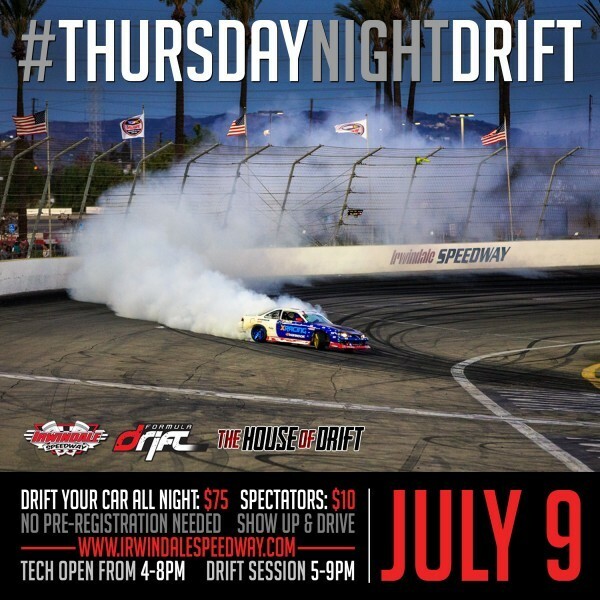 For those in Southern California, Formula DRIFT holds monthly Thursday Night Drift events at the Irwindale Event Center, which provides a safe environment and instruction from some of the top drifters in the nation. 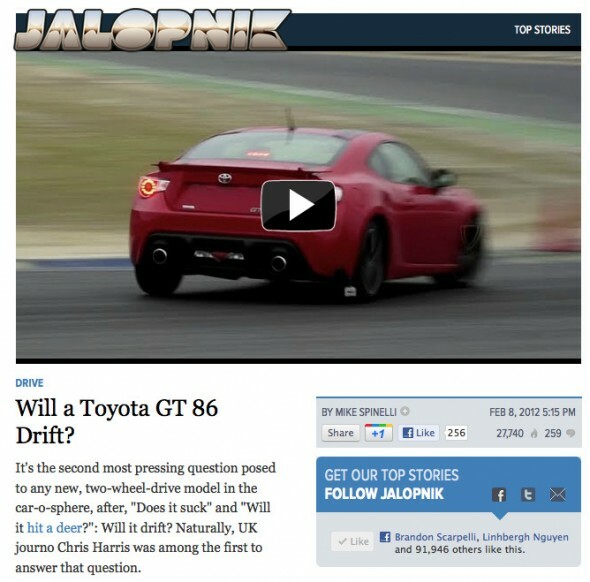 Can Chris Harris Drift the Toyota GT 86? Automotive journalist Chris Harris recently had a short lived opportunity to test drive the highly anticipated Toyota GT 86 on a track in Spain. They put the 86 through the paces to find out whether or not it’ll drift. Most of you already know the answer to this after seeing Ken Gushi hammer on the Scion FR-S in Japan but be sure to check out the Chris’ take on the new Toyota. There is a lot of excitement surrounding the debut of Ken Gushi‘s new car this year so be sure to get your tickets to Round 1: Streets of Long Beach to see it in action! Earlier this week, we featured a video by YAER Productions that showed Ryan Tuerck giving everyone a first hand look at Irwindale Speedway prior to Round 7. If you missed out on that post, check it out here. One of the web’s most popular sites, Jalopnik.com, decided to showcase this video as well. 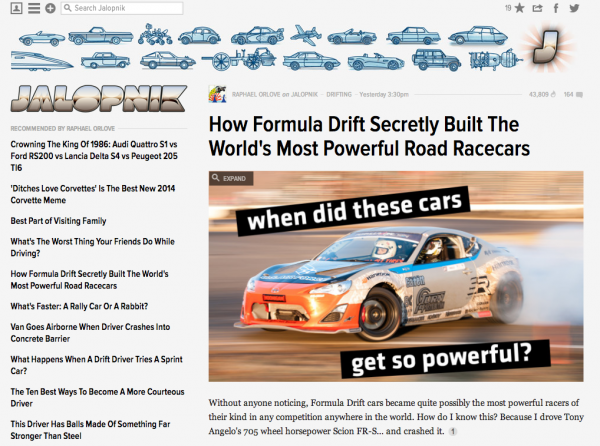 It’s refreshing to see such well-known sites support the drifting community and great video coverage.